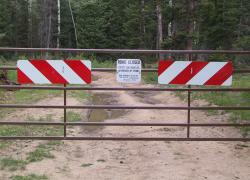 ATVs and big game hunting creates huge controversy on public land that holds big game habitat. It seemed such a distant topic when it began, but suddenly it has engulfed the entire hunting community, demanding some kind of control. With the explosion of increased use of all terrain vehicles on public land, two opposing attitudes have developed on each end of the spectrum of opinions about off-highway use vehicles. A hunter who has invested considerable time and effort walking in the early morning darkness to arrive at a pristine area where he hopes to slip quietly into the company of big game animals, would absolutely loathe to hear the hum of ATVs rolling effortlessly into that hard earned seclusion. By the time that vehicle comes into view, the hunter has probably had fleeting thoughts about the consequences of shooting the tires out from under the rider! Another hunter who, for whatever reason, is unable or unwilling to walk long, steep distances stands next to his truck gazing longingly toward lofty, distant elk holdings. If he doesn’t own a horse, his only hope to actually hunt those remote areas may be some kind of motorized travel. (See our Hunting with Horses page by clicking here.) This hunter will give considerable attention to the possibility of using a four wheeler to get to the same spot that took the walking hunter a couple of hours to reach on his feet. If he thinks he has found a way to ride a vehicle to that same area, you can’t blame him for doing so. His love relationship with ATVs has begun. He will study other locations for motorized access to remote areas. 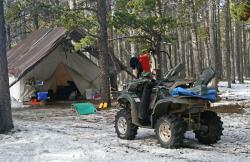 When used responsibly and legally, ATVs are very useful tools on a mountainside or back-country trail. The demand for them has created an ever-growing supply of more effective vehicles competing for consumer interest. One review in the March, 2006 American Hunter revealed that ATVs larger than 600ccs made up over 60% of the market at that time. In reviewing one machine the writer, Peter B. Mathiesen, stated, “There was not a log in the woods that I could not climb over”. •	“toughest ATVs on the planet”. Do ATVs improve Hunter Success? 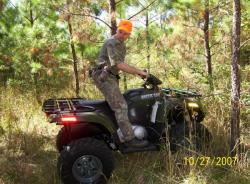 Being able to hunt using ATVs may not be the panacea that it is perceived to be. Statistics from hunter check stations reveal that hunters who use ATVs often have a lower success ratio than other hunters. Below you will find some revealing research that describes the "fear factor" of elk and different modes of hunter travel. ATVs, off-highway vehicles, quads, four wheelers; their use has multiplied astronomically over the last few years. There were 5 million in use in 1972. By 2004 there were 51 million. The phenomenal increase continues. With such an unforeseen increase in their use in elk country and other wilderness habitat, it became painfully clear to land management officials that a plan was not only needed, but that “unmanaged OHV use” would have to become a high priority. The State of Idaho has already closed over half of hunting areas to off-road use by hunters. Officials there have increased the number of areas under that regulation as public comment shows support of it by a large margin. Idaho adopted this restriction partly because they did not have a policy restricting use of ATVs to roads and trails. In Montana, both the BLM and Forest Service have adopted a policy that restricts motorized wheeled vehicle use to roads and trails (now designating them systematically) and does not allow cross-country travel. For the most part, National Forest hunters will no longer be able to retrieve game or hunt by going cross-country. Off-route usage will only be allowed for camping, within a limit from the open road or trail. Officials will essentially tell the public, “Here are the routes we think we want to manage. All others will be closed to motorized travel.” The proposed plans are studied for impact. Public comment is sought. User-created routes are considered unmanaged routes and will not be part of the system routes. Designated routes will be selected because they are determined to be sustainable. I interviewed Bob Walker, Montana State Trails Coordinator, and he stated the obvious, “Riders ARE losing access, but they need to spend some time east of the Missouri to see how great the access is in the west.” Riding four-wheelers in the east takes place, for the most part, on ATV parks designated for that purpose. What is happening in elk country and other wild lands is an organized attempt to manage the explosive increase in use of ATVs, which will have a negative impact on the flora (vegetation) and fauna (animals), if left unmanaged. According to the Forest Service final rule all regions must now develop either designated cross-country areas for OHV use, or develop a framework designating motorized vehicle use on existing trails and roads. Eventually, 99% of National Forests will no longer allow cross-country travel on ATVs. In order to keep all the variables consistent in the study, researchers used one to three people for each travel activity through elk country. They acknowledged that travel groups of horseback riders and ATV riders could often be much larger, but that mountain bike riders and hikers tended to vary from one to three people in real life situations. All travel activities were 20 miles, but it was further acknowledged that, clearly, hikers and mountain bikers would not typically cover that distance in a real life situation. The distance from human to elk that initiated a flight response was much shorter in the presence of hikers and horseback riders than for ATV riders and mountain bikers. Hikers could, on average, get within about 500 meters before causing elk to run. Horseback riders caused elk to flee from as far as 750 meters. Mountain bike and ATV riders were equal in their ability to cause elk to bolt, from 1500 meters. Clearly, elk were caused to spook much more often and sooner by mountain bikes and ATVs in the area. When elk move to escape from human traffic while feeding, they move away from preferred forage. As the animals burn energy in order to escape, they may also be moving away from the best sources of that energy (preferred food). Instead of eating at their healthiest dining area, they’re running away from it! My sons and I have spooked animals in the dark on our mountain bikes that we may have gotten shots at had we been on foot. Sometimes it’s tough to know when to park and when to keep riding. Clearly, most elk survive the winter after some significant pressure from humans. The facts from this study indicate that we need to find a reasonable balance and that controls need to be in place in order to keep sharp increases of human activity from causing unacceptable risk to elk or deer herds and habitat. Bicycles and ATVs have the largest impact on elk herds (compared to hiking and horseback riding). Mountain biking is certainly not for the faint of heart, so the numbers are going to remain low for that reason for that mode of travel in elk country. However, almost anyone can ride ATVs. Because of the explosion of ATV use, it has become obvious that some reasonable “managed use” must be put in place, but again, hunters should stay informed and involved in the regulation process. ATVs are very often unwittingly used to efficiently spread “exotic” weeds throughout elk country. It is vitally important that vehicles be weed-free before traveling off-highway. Dried mud can be loaded with seeds that fall off along the way. Pressure washing underneath the vehicle will remove seeds, if done thoroughly. Having managed trail systems and staying on designated trails will further help limit the accidental cultivation of new colonies of non-native weeds. 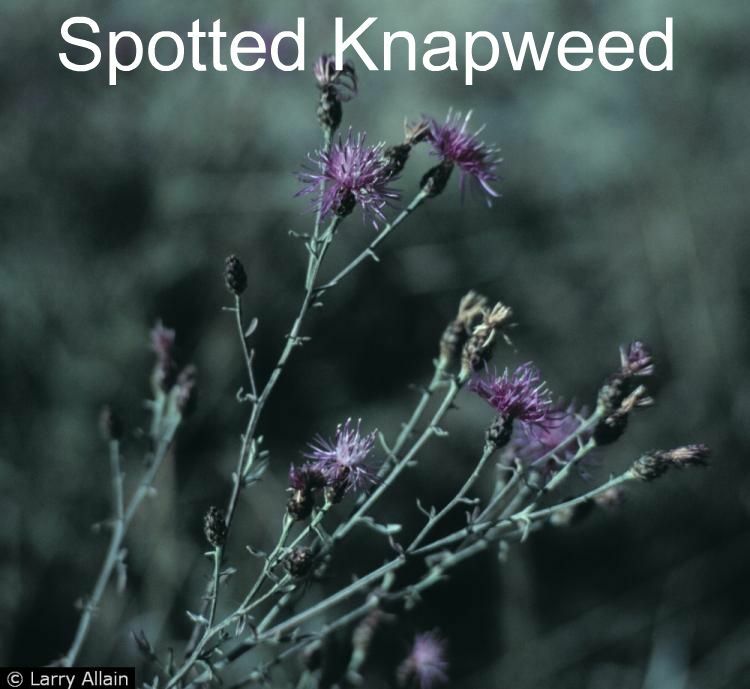 Invasive weeds are considered another of the four key threats to national forests and grasslands by USDA Forest Service: “Invasives have the capacity to dominate, overwhelm, or wipe out native species. 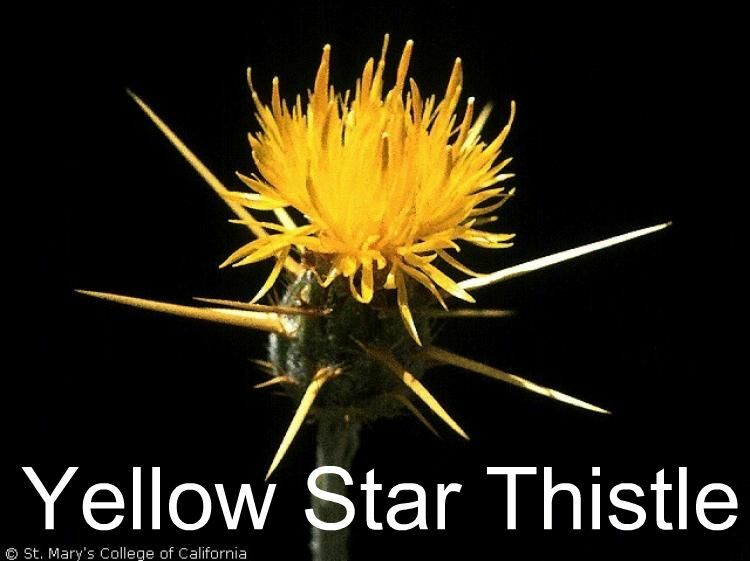 Each year, invasives advance by 1.7 million acres per year across the land in all directions, an area that is two-thirds bigger than the state of Delaware.” The Rocky Mountain Elk Foundation says 3 million acres of elk country are overtaken by noxio9us weeds every year. 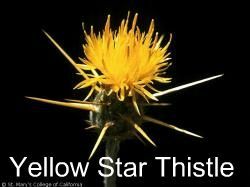 Noxious weeds are “exotic” to the area because they have only recently been introduced. Because of that fact, they have developed few naturally occurring enemies. That is, they pretty much have free reign because they aren’t part of the natural balance scheme of things. They have no natural enemies. 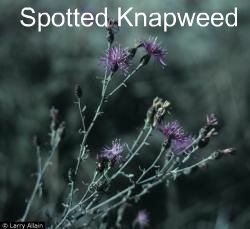 Noxious weeds simply run rampant over the native plant competition with nothing to check their overgrowth. Jim Olivarez, Rangeland Management Specialist with Region 1 Forest Service, explained to me that seeds can lie dormant for eight years or more before sprouting and propagating more unchecked invasive weeds. Sometimes just disturbing an area that has dormant seeds in the ground can cause it to suddenly sprout and start growing with nothing to stop it naturally. 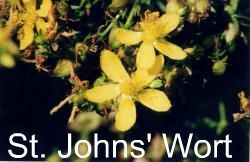 Spreading the weed seeds through irresponsible travel methods can add tremendously to the future costs of noxious weed management. Further, it can negatively impact big game species for years as the results of mere minutes of recreation. According to Favro, compaction all the way across the entire width of a managed trail is desirable. On the other hand, compaction of soil resulting from cross-country riding can prohibit plants from growing. When a trail is not compacted properly, resulting in a hump in the middle, ruts along tire tracks can cause unmanageable erosion. Erosion can be caused by the long linear “footprint” of wheeled motorized vehicles. Climbing a steep hill or speed may cause the wheels to spin, displacing soil and plant life. This encourages water to run down the ruts, deepening the erosion factor with every rainfall or snow melt. Soil can be washed down into streams where fishes can be killed by the silt and sediment. Wetlands and wetlands species can be quickly damaged irreversibly by unmanaged ATV travel routes. A travel system of acceptable trails and roads should be developed with all these issues in mind. Some trails should be excluded from the system because they are simply unmanageable, or would be too costly to manage. One road or trail may be too expensive or physically unfeasible to control for erosion impact. Another trail may be determined to be too stressful on the local population of elk, deer, or bears, etc. One season of free motorized access to a great elk habitat may mean the end of that hot spot. Hardly a good pay off for one successful hunting season in the area for a few people. According to Favro, seasonal closures will continue to be used as the new plans are developed in order to support local animal populations during stressful times of the year. Many mountain roads were established for much needed logging functions. Logging done correctly, as most is these days, creates excellent long-term elk habitat. However, the cost/benefit equation would be too poor to continue to allow on-going motorized travel on many of those roads after the logging operations are complete. Many elk hunters have enjoyed the advantage of hiking, biking or horse back riding those closed logging roads for decades beyond their original use and closure. Elk herds flourish in logged areas for decades as well. Motorized travel has the potential to change that rather quickly. Off-highway travel system development should always have the long view in mind. Decisions about managed use of trails and roads should be made, not on knee-jerk reactions, but through careful, fact-based planning. The public who want to use managed areas should stay informed and involved in the process of trail use management planning and implementation. The more responsible we are while treading in the wild country, the less regulation will be required to “enforce” responsible use. If ATV users, recognize the negative impacts their activities can have and take voluntary steps to minimize those impacts, restricting regulations can be limited. Unspoiled elk habitat is a jewel of American tradition. Great effort by all involved should be undertaken to protect that great national treasure for our own use and that of future generations.